Last week we covered the launch of the new Avios partnership with Best Western. 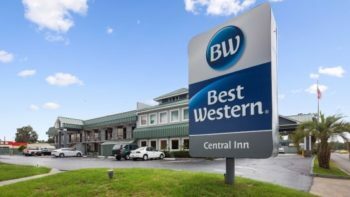 That article also covered how to get a Best Western status match. You will earn either a flat 500 Avios points per stay or you can convert Best Western Rewards points at the ratio of 5:1. Check prices carefully, because some properties seem to have their own non-refundable rates which undercut the promotional offers. 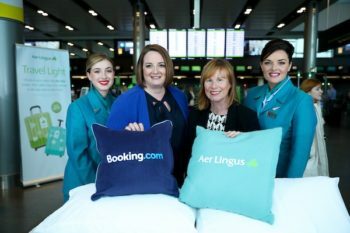 Despite its IAG ownership, Aer Lingus seems to exist in its own world. This is sometimes good – Aer Lingus has a long-haul business class seat which is far superior to BA Club World (and which we are reviewing soon) – and sometimes just odd. Last week the airline launched its own hotel portal. This is a white-label version of booking.com, as is clearly displayed on the site. Can you collect AerClub Avios via this site? No. Can you spend AerClub Avios via this site? No. Can you use any booking.com special offer codes or deals via this site? No. Is there any point whatsoever to this product? No. You don’t even get a free cushion …..
London Southend Airport has announced that a new route, to Glasgow, will launch on 29th October. This is in addition to the previously announced Dublin and Manchester routes. It will be operated by Flybe, bookable here, via the Stobart Air franchise. This means that you can earn and redeem Avios on Southend to Glasgow at the standard Flybe rates. I had a day out at London Southend last year (read here) and was pleasantly surprised by what I found – if you work in the City or Canary Wharf, with easy access to the airport trains, it is worth considering. Wonder why Southend to Glasgow rather than Edinburgh? Now that Ryanair has pulled out of Stansted to both Glasgow and Edinburgh wonder if Flybe/Stobart will reconsider. Glasgow’s bigger? Ryanair have only temporarily pulled out of Glasgow and Edinburgh. There are a lot of flight options out of EDI with multiple carries into London, also multiple carriers to routes across europe. EDI is also crammed full at peak times. GLA is quieter and another option into London probably more welcome. O/T the new Amex ARCC looks pretty cool being clear! Does the Stobart Air franchise, like the Loganair franchise previously, offer free baggage and catering? OT: Monarch. Distinct possibility of imminent failure. Question re S75 cover. I have flights for Wed which (together) cost > £100, paid with CC. Would CC company be liable for cost of obtaining replacement flights for same date (as contract with Monarch could be viewed as a contract to get you from A to B on date in question)? Many thanks! About to ask same question. Have 4 flights booked to Tel Aviv in 3 weeks time with Monarch. Paid on my Amex Platinum. Will i just get a refund, or full cost of replacement flights? (which are now roughly £1000 compared to the £600 i paid for the Monarch flights). For S75 it’s the individual item that needs to cost over £100 (so two tickets at £55ea = £110 doesn’t work). I’ve read in the past that consequential losses can be claimed for (ie the additional cost of having to pay for a more expensive flight) but can’t seem to now find any supporting evidence for you. Thanks Genghis. I was assuming one way or another, Amex Platinum will refund me the £600 for 4 tickets. They are not open today to ask about the consequential losses for re-booking more expensive flights. Just wanted to ready to pounce if/when I get the bad news email from Monarch….. These chargeback schemes are voluntary – unlike section 75 which is set in law – but do not be put off if the person you speak to at the bank claims to know nothing about them. Your ‘together’ comment is pertinent here… S75 applies to individual ticket cost, not simply what was billed to your account. As Ryanair and easyjet both offer one-way pricing (i.e. you get no saving from buying a return), S75 applies to the cost per one-way sector. For ‘return pricing’ (e.g. BA longhaul and most heathrow shorthaul but not Gatwick) the £100 limit applies to the return price as it’s integrated. Obviously in either case it’s per-person, not total. And only covers refunds, not alternative flights – this is what insurance is for! Most Monarch tickets recently have followed the low-cost one-way pricing model, so S75 will only apply to a PER-SECTOR fare of over £100. I suspect you’d have to claim from insurance, under ATOL (if applicable), or as a bank ‘chargeback’ rather than S75 here. It doesn’t matter whether you get a saving from buying a return or not. It just depends on whether you have bought two tickets with one flight each, or one ticket with two flights. Perhaps Monarch does not sell “return” tickets at all, but for example you can certainly buy some BA RFS tickets as two one-ways or one return, which both cost the same (albeit under £100 so S75 wouldn’t apply anyway) but with different effects should you miss one flight or want to make changes/cancel. s75 only covers the cost of what you paid as it covers all types of transactions, not just airlines. Not sure if Amex Platinum has any additional protection for flights, but the best bet would be to see if you selected “scheduled airline failure” when (if) you bought your travel insurance. As I understand it, S75 is irrelevant as Amex Platinum is a charge card, not a credit card?? I only used my Platinum Card for payment to ensure I had the best insurance possible! Not entirely sure what your point is but S75 covers consequential loss. Back in 2012, I had planned a long weekend in Budapest. Flights booked with my Halifax MC. Hotel (non refundable) booked with my (Barclays) Hilton Visa. Malev went bust shortly before the trip. Halifax (Lloyds) reimbursed me for both the flights and the Hotel. I think you have a duty (at least a moral duty if not a legal one) to minimise your losses in these situations. Cancelling the hotel was cheaper than finding new flights. Why don’t you cancel it and take out another card (SPG or BAPP?). Then after 6 months you will be able to reapply for either plat or gold and get the bonus points. Thanks Genghis, I am due to refer the OH in December. So was thinking downgrade to Gold, refer the OH in Dec. Applied for the SPG as well, which I will also refer the OH for at some point. Sorry. Me and Monarch again. Any educated best guesses as to likelihood of them still flying (one-way flight only booking) come Wednesday? Non-zero?!? Thanks! Thanks Harry. You don’t read the massive hiking in prices across all their routes as a strong indicator of an immediate cessation of flights? If flights will continue for now, not sure I understand why QR aircraft would be immediately needed for repatriation. Any thoughts? The CAA parking a couple of Qatar planes is just a negotiating tactic in case Monarch thinks it can ignore its obligations but keep flying anyway because of the disruption otherwise caused. Swaffield was the Avios CEO before Gavin Halliday – slightly suicidal career move I think. I think Swaffield’s experiences are what persuaded Gavin that loyalty was more fun which is why he went to Etihad Guest rather than be moved around by IAG. hard luck Andrew M! can you still get where you were planning to go? O/t any idea when we might see another Club Carlson or Hyatt promotion? I have 8-10 nights in October in Amsterdam and would like to make the most of them. Book flexible corporate rates so can always cancel and rebook – but once I commit my colleagues will follow – then getting colleagues to move hotels isn’t as easy! No idea about Hyatt and Carlson offers are relatively infrequent. Perhaps Monday will bring something. FYI bought £100 amazon gift card in Tesco today test if there was a ‘secret’ deal, as I have a Tesco Debit card it wouldn’t be too much of a waste. Looks like no secret del and no CC bonus points on gift cards. @the real harry1. Yes, I pulled the trigger on booking an alternative flight at 01:20 as it increasingly looked like all unravelling. Result: 5 min change in dep/arr time, £26.88 addl cost. I’d call that a result! Always plan for the 10%! Thanks for asking.